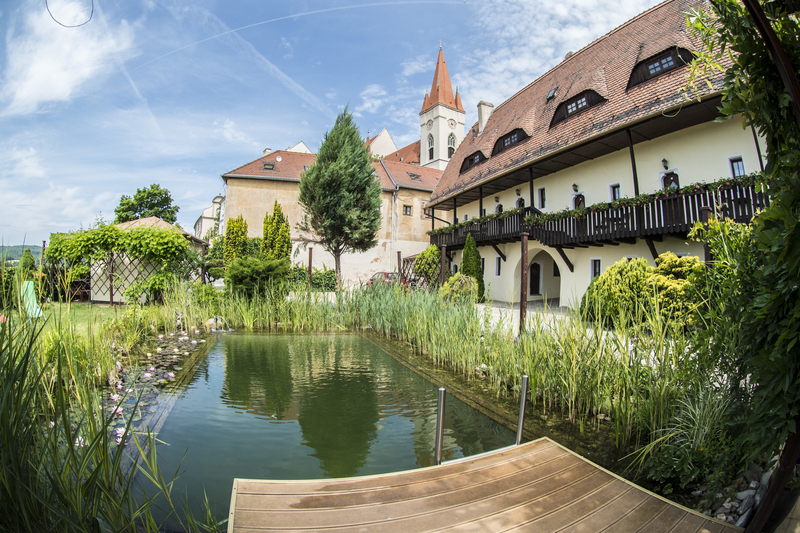 The Kaplanka family guesthouse offers accommodation in the heart of the historical centre of Znojmo, in the midst of winding medieval streets with the most beautiful view of the River Dyje. The guesthouse which has recently undergone renovation, is built from the houses originally built in the mid-15th century and has an unforgettable atmosphere. The Kaplanka guesthouse offers comfortable accommodation in Znojmo in ten double, one triple and one quadruple room and six suites with a total accommodation capacity of 52 beds. The guests can use a fully equipped kitchenette, storage room for bikes and parking lot in the guesthouse courtyard. Our guests can use the ornamental garden to relax, the garden has a pond with the possibility of swimming or there is a sitting in the guesthouse courtyard with barbecue. 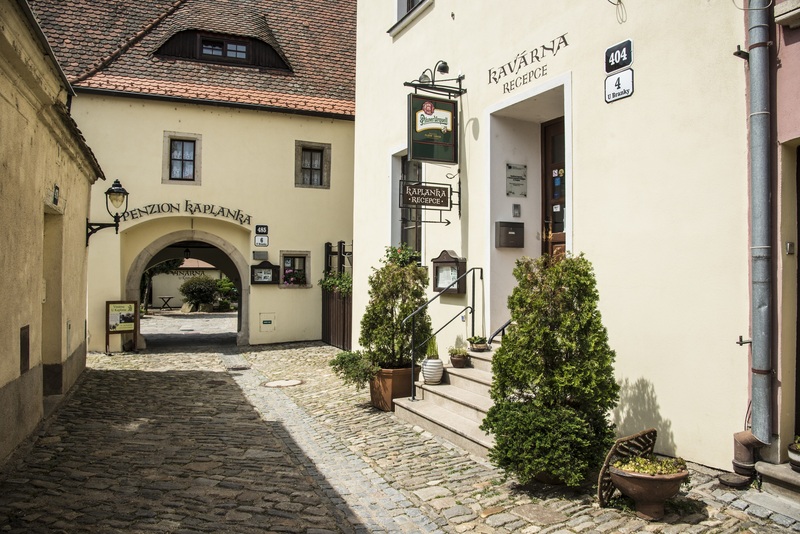 To taste Znojmo wines or for organising celebrations and parties, guests can use the wine bar located in the medieval stone cellar beneath the Kaplanka guesthouse courtyard. Our guests are served with a buffet breakfast daily in the guesthouse café and we are convinced that this is the perfect start of their day. We also arrange transfers to the airport as well as transportation around the area to order. Thanks to its unique location in the centre of the town Znojmo, the Kaplanka guesthouse is a good place for spending an active holiday with family, a romantic weekend for two or a business trip. Very nice ambient, one could spent a couple of days there. We unfortunately just spent a night. we are very satisfied. place is wonderfull. Room was cosy and we will recommend this penzion our friends. Clean room, friendly staff, location, design and concept. Did you know that in the guesthouse Kaplanka you can store your bike free of charge and enjoy the various possibilities that the region offers for the cyclists. Not far from Znojmo, towards the Vranov Dam there is a beautiful castle Bítov. Do not hesitate and add it among your cruise destinations! Round of st. Catherine dates back to the 11th century and its walls are decorated with monumental wall paintings from the time of the Přemyslids. Come and see the story of this famous Czech royal family with your own eyes.